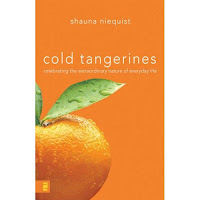 Cold Tangerines Book Challenge: GIVEAWAY WINNERS! Alright, y'all. First of all, I just have to tell you that I am blown away by the number of you who have signed up to participate in the Cold Tangerines Book Challenge. 30 of you! I can't wait to hear your thoughts on this book. But, I'm not going to give Cold Tangerines away to 10 of you. I just can't do it. Sorry! Instead, I'm going to send ALL 30 of you a copy! Being the crazy optimistic, pushy fearless girl that I am, I asked the publisher if I could have a copy for every one of you. And, you know what? The publisher said YES! Can I get a WOO-HOO? Or, for you Southerners out there, a YEE-HA? So, if you left a comment here saying you wanted to participate, then you will get an email from me later today with a few more details so I can get you your FREE COPY of Cold Tangerines. If you did not include your email address in your comment (or it isn't connected to your name), then please email me today by clicking on the "Email Me" link over on my sidebar. I hope this puts a little extra spring in your step today! It's sure done that for me. Sarah! That is so nice of you! Thank you! I'm excited to read the book. I have to admit that it's been awhile since I read anything that didn't have it's share of pictures attached to it! : ) Thank you for working it out for all of us to get one! How awesome! You and your connections, I tell ya, what a gal!! Happy Monday to you! It'll be happy here when we're home tonight! Yea!!!!! What nice publishers! And what a nice YOU!!!! Wow!! What a sweet surprise to start the week with. Thank you, Sarah, for doing this, and for asking the publisher's for more books. I would never have thought to do that. But I'm so glad that you did!! What a sweet spirit you have. Thank you! That's wonderful! Yee-ha! I am so excited to see what this book is all about. Thanks for the wonderful start to a rainy Monday morning. yipee! i am very excited. that was so nice of the publisher to do. then again, if all 30 of us write a review, then their sales should go up. that's always good for business. WHOO HOO! I am so excited - how awesome! I am impressed by your ability to get 30 free copies - you are am.a.zing - how you have time with three little ones at home, one being a newborn. You are an inspiration my friend! 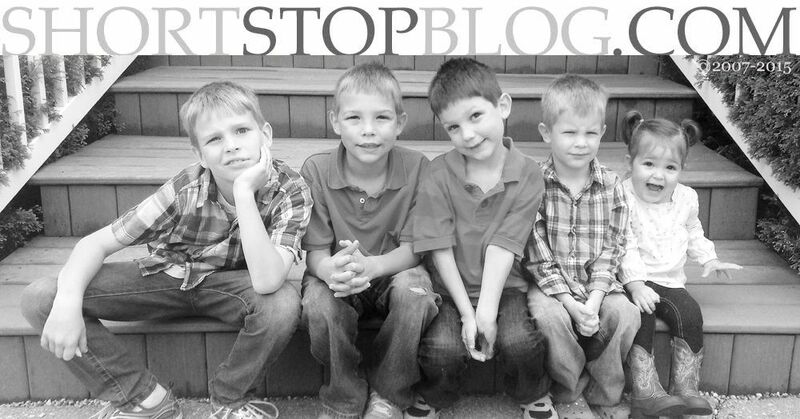 Thank you for doing this giveaway- it sure brightened my day to read your blog! I am so looking forward to reading this book! Yea! That was sweet of you to ask for more copies! Thanks and I'm looking forward to reading it. Wow, that was really neat. Thanks, Sarah. Can't wait to read another good book. My favorite! I'm so excited and just can't wait to get crackin' on this book! Woo Hoo and Yee Hah! That's great! Can't wait to read it! I was so excited when I read the email - I thought, "I FINALLY won something!" And then I came and saw that I'm not really a winner, after all, I'm just lumped in with the ones who are, ha ha! I'm just kidding, Sarah, I am STILL totally psyched about anything free! :) You know I love to read, so I will look forward to such a highly recommended book. How could you not love it with a title like that, anyway? Thank you SO MUCH. You're as sweet as cold tangerines, yourself. How cool...I didn't post before, but I was reading your profile and had to leave a comment when I saw that you mentioned Undercover Blues as a favorite movie. I saw it years ago and cracked up. I'm pretty sure you can hear my WHOOO HOOO all the way from here, right! Thanks, Sarah...can't wait to get started! That is all kinds of AWESOME!! Thanks, Sarah.